The National Audit Office – University of Birmingham Tax Centre has been launched! So what does this mean for taxpayers – and for tax officials? The average taxpayer may never be aware of its role, but the new Tax Centre will help provide the all-important independent academic evidence useful to those making and implementing tax policy; it will provide crucial insights into issues such as taxpayers’ behaviours, the impact of making tax digital, tax evasion and avoidance, and customer service. 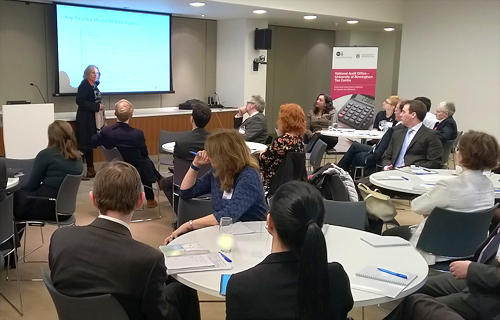 As we detailed at the launch event, our recent joint work on Gift Aid shows how the NAO and the University of Birmingham can work together, and with HM Revenue & Customs (HMRC), to improve understanding of the effectiveness of taxes and tax reliefs. Identify and conduct research on tax issues. Encourage debate, stimulate ideas and exchange knowledge through events and networks. Enable government bodies, academics and tax practitioners to discuss needs and practical challenges in a ‘safe place’. The NAO Blog asked Professor Kimberley Scharf and Jonny Mood, the joint-founders of the Tax Centre and co-presenters on the Gift Aid case study, about how this example illustrates the difference the Tax Centre will make. One way the Tax Centre will make a difference is by providing a safe place to explore issues. Our previous blog-post, ‘Can better service bring in more tax revenue? How the NAO is helping government investigate’ illustrated one such example. However, the Tax Centre’s primary aim is to provide independent evidence about tax effectiveness. Our collaboration will ensure that the academic and practical aspects are integrated from planning to application. At the launch event, we illustrated the benefit of this approach with the example of Gift Aid, which started with an NAO study and was followed by several years of in-depth independent academic research. Whether providing a tax relief on charitable donations results in more income being received by charities than if the government had just given the equivalent amount of the tax relief directly to the charities? And, if it does, to what extent is that increase due to new donors versus more giving by existing donors? We doubt it. No one does know the answers – although after analysing more than 75 million individual UK self-assessment tax returns, we know more than ever before! Charities can claim from HMRC an extra 25p for every £1 given by eligible UK taxpayers. So a basic-rate taxpayer knows that her/his £1 donation is worth £1.25 to the charity. Taxpayers who pay above the basic tax rate can claim back through their tax return the difference between the tax rate they pay and basic-rate on the value of their donation. If £100 is donated to a charity by a UK taxpayer, the charity claims Gift Aid of 25p for every £1 donated, so the total donation = £125. If the taxpayer pays higher-rate tax (40%), s/he can personally claim back the difference between the higher-rate and the basic-rate of tax (20%) on the total donation i.e. £125 x (40% – 20%) = £25. So the cost of this donation to the donor is £75 (£100 original donation – £25 refund). And the cost to the taxpayer is £50 (£25 Gift Aid to the charity + £25 refund to the higher-rate taxpayer). The primary aim of Gift Aid is to reduce the cost of donations, thereby encouraging more people to give. Does this tax incentive change behavior? And does it do so by more than the cost to taxpayers of giving the tax relief? The NAO’s 2013 value-for-money study, Gift Aid and reliefs on donations, highlighted the lack of evidence to answer such questions. Following NAO and Public Accounts Committee recommendations, HMRC worked with our team of academics to produce better evidence. To measure the impact of a tax incentive on behaviour requires data from before and after a change in that tax. Tax reforms in 2010 introduced a higher tax bracket of 50% for incomes above £150,000 and removed the tax-free personal allowance for those earning above £100,000, which had an unintentionally large impact on the marginal tax rate of those in the £100,000-£112,950 income band. Both changes further reduced the cost of giving for taxpayers with incomes in these ranges. HMRC gave our team access to over 75 million self-assessment income tax returns for the fiscal years 2004/05 through 2012/13 – i.e. before and after the 2010 change. There were many complexities in assessing this information, and the methodology, and detailed results, are explained in our working paper, More giving or more givers? The effects of tax incentives on charitable donations in the UK (PDF). The combined elasticity for higher-rate taxpayers earning more than £96,163 (i.e. those both eligible to claim the rebate on their self-assessment tax return and in the bracket affected by the tax rate changes in 2010) was -0.27. This means that the amount of giving does respond positively to a change in the cost of giving, but every additional £1 spent on tax incentives is generating only £0.27 more in donations. (Additional analysis shows that this increases to 35p if we take account of all higher-rate self-assessment taxpayers.) In other words, charities would get substantially higher donations if the value of the Gift Aid relief were given directly to them. Within this overall result, the intensive-margin elasticity was about -0.22 and the extensive-margin elasticity -0.05 – showing that, overall, the increase in donations for these taxpayers is mostly driven by existing donors giving more. Averaged out, these tax incentives induce only very small numbers of higher-rate taxpayers who have not donated to start donating. Among the 75 million tax returns analysed, the researchers found that many basic-rate taxpayers filled in donation amounts on their self-assessment forms even though they were not entitled to a rebate. Taxpayers earning less than £96,163 are not included in the main estimates outlined above. But the researchers carried out further analysis and discovered that although the tax reforms did not in fact reduce the cost of giving for those earning less than £100,000, the reforms did have an impact on giving, even for those who couldn’t claim any Gift Aid rebate at all. In particular, the lowest income group (those earning less than £8,389) were most likely to start donating when they hadn’t previously. We don’t know whether those who started donating or increased the size of their donations in response to the tax changes did so because they thought they could claim a rebate. The behaviour is unexpected and warrants further investigation. The following figure shows how donations changed over time for taxpayers that experienced a fall in the price of giving due to the reform and for those taxpayers that were not affected by the reform. 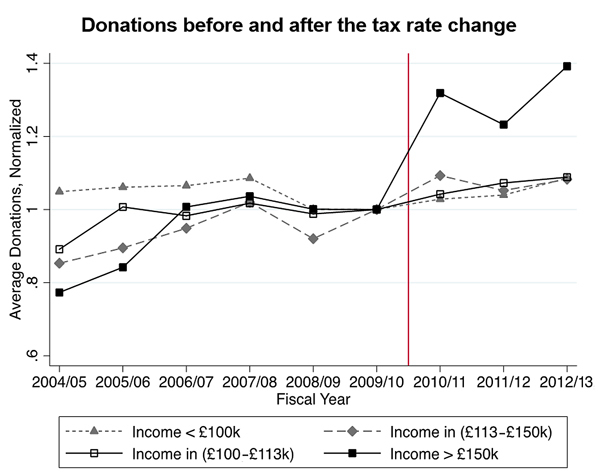 Note the sharp rise in donations after the reform for taxpayers earning more than £150,000 per year. The donations of taxpayers earning between £100,000 and £112,950 look quite unresponsive, which raises the question of “why?” since these are the taxpayers that experienced the sharpest reduction in the price of giving. The next steps are for the Tax Centre to liaise with HMRC’s Charities Policy Team to explore how these results might be used by them and to see whether there is scope for using additional data for further analysis. The independent evidence produced so far can now be used to inform the debates about the best way for government to provide public support to donors and charities, and the debate about whether taxpayers understand the benefits to them of existing methods of provisions. We invite anyone with an interest in tax matters to get in touch with us and join our network. All existing University of Birmingham and NAO research, forthcoming events and contact details can be found on the Tax Centre website. Or visit the NAO website for all NAO tax-related publications. Our tax-related blogs will tagged as ‘Tax’. We also invite your comment on this blog-post or to contact the NAO for any wider matters. Jonny Mood works on our team producing reports on implementing the UK’s Exit from the UK. 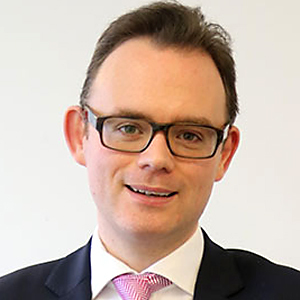 He has previously written reports on a range of subjects and until 2017 managed value-for-money studies (performance audits) on HM Revenue & Customs. Jonny led the NAO’s work on tax evasion and avoidance and co-founded the Tax Centre. Prof. Kimberley Scharf is Professor of Economics, University of Birmingham, and Director of Research for the Tax Centre. 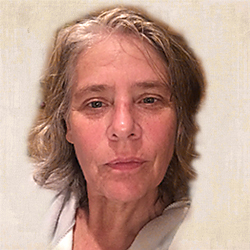 Her research spans several subfields of economics, including political economy, public finance, the economics of charity, international trade and finance, and industrial organisation. It has been published in leading peer-reviewed journals and funded by a number of leading bodies. Prof. Scharf is currently Editor-in-Chief of International Tax and Public Finance and a Fellow or member of a number of societies, panels, committees and boards. For more information see kimscharf.com/. You asked for more information on tax avoidance and evasion. Recent reports by the NAO on this issue include Investigation into overseas sellers failing to charge VAT on online sales (Apr 2017), HMRC’s approach to collecting tax from high net worth individuals (Nov 2016) and Tackling tax fraud: how HMRC responds to tax evasion, the hidden economy and criminal attacks (Dec 2015). You also asked for information about methods of bringing to account people who have committed tax evasion and avoidance. All three of these NAO reports cover HMRC’s response to tax evasion and avoidance, particularly Part 2 of the first report and Part 3 of each the second and third report. You might also find our recently published Short Guide to HM Revenue & Customs (Dec 2017) of interest. The guide is designed to provide a quick and accessible overview of HMRC, focusing on what it does, how much it costs and key developments in HMRC’s areas of work. On the academic side, we can also point you to Under the Radar: The Effects of Monitoring Firms on Tax Compliance (PDF). It finds that firms strategically bunch below the eligibility threshold to avoid stricter tax enforcement, and estimates that there would be substantial welfare gains from extending stricter tax monitoring to smaller businesses. Basic rate taxpayers do this in response to a specific question. HMRC intention is surely not to discover taxpayers entitled to a rebate, but rather to tax those whose gift aid donations exceed the amount of tax payable. It’s some time since I was last required to submit a return, but I believe there are also some calculations of income that are made net of gift aid payments, even for those who are taxed at basic rate. HMRC does ensure that gift aid donations do not exceed the amount of tax payable, and the self-assessment form asks taxpayers to complete ‘additional information’ if their contributions are more than the Annual Allowance. 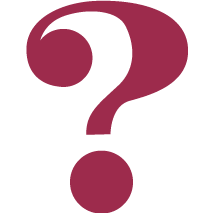 It is also true that the form itself does not specify that basic-rate taxpayers don’t have to enter the value of their gift aid payments, and the document on ‘how to fill in your tax return’ only specifies that the gift aid payment box should not be completed for Payroll Giving, although it specifies that it’s higher-rate taxpayers who are eligible for tax relief. There could also be other reasons why basic-rate taxpayers complete this section despite not being eligible for a tax relief, and we are interested in exploring these reasons further. The research team did ask a few basic-rate taxpayers why they put down an amount, and one or two told us that they worried about getting into trouble if they didn’t complete it. This could suggest that HMRC could reconsider the way that the questions are framed on the self-assessment returns.